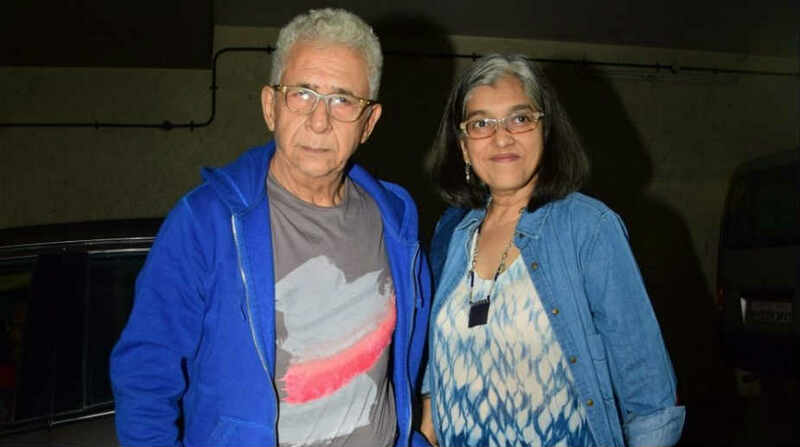 Actor Naseeruddin Shah along with his wife Ratna Pathak. The second edition of Delhi Theatre Festival is set to host veteran theatre personalities like Naseeruddin Shah, Ratna Pathak, Paresh Rawal and Pankaj Kapur. While Naseeruddin’s directorial “Ismat Apa Ke Naam” will also have him in the cast including Ratna Pathak and Heeba Shah, Pankaj will showcase “Dopheri”, which is his playwright and directorial. The plays will be staged from March 9-11 at the Siri Fort Auditorium in Delhi and Orana Conventions in Gurugram, said a statement. The initiative is an exclusive venture by Alchemist Live, a sister company of Alchemist Marketing Solutions.